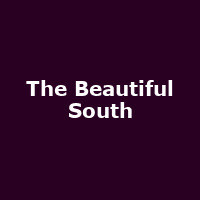 The Beautiful South were an English band from Hull, formed in 1988 by Paul Heaton and Dave Hemingway - both former members of The Housemartins. Other members included: Dave Rotheray, Dave Stead, Sean Welch, Briana Corrigan, Jacqui Abbott and Alison Wheeler. The band released numerous platinum and multi-platinum-selling albums, including the number 1 albums: "Blue Is the Colour" and "Quench" plus the 1994 best-of, "Carry on up the Charts". Familiar songs include: "Song for Whoever", "You Keep it all in", "A Little Time", "Rotterdam", "Perfect 10" and: "Don't Marry Her".